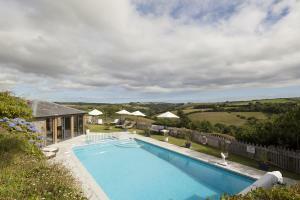 A lovely one-bedroom baby friendly holiday cottage near Padstow. There are fifteen child-friendly holiday cottages at Treworgey, from one bedroom through to six, perfect for a family holiday in Cornwall. 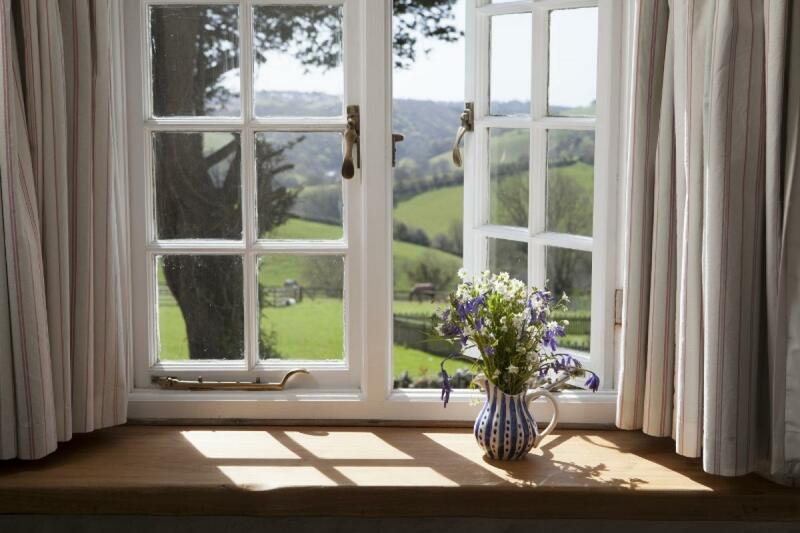 Each one bedroom cottage comes with its own private and enclosed garden with stunning views across the 150 acres of beautiful countryside and beyond. There is an open fireplace for cosy evenings, giving it a home from home feeling. 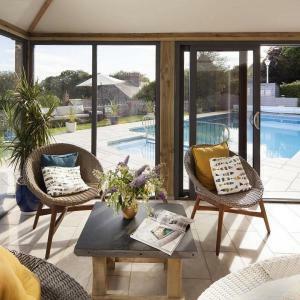 This one-bedroom luxury holiday cottage is ideal for your first family holiday with a baby or small child. 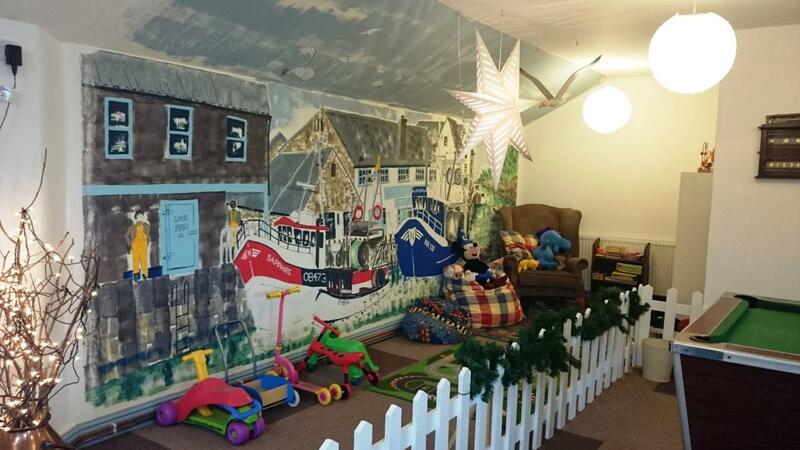 Take full advantage of all the services on offer here or just relax and enjoy the beautiful surroundings. 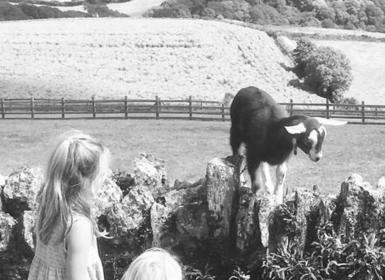 The farm has been in the same family for 40 years and they are passionate about providing the best family-holiday experience they can. 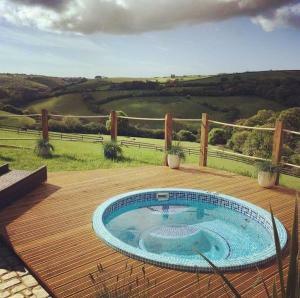 It’s easy to see why they won the National Visit award for best self-catering provider of the year. There are lots of walks in the area and baby and toddler-friendly days out, you can also bring your four-legged friend (not only your dog but pony if you have one too!). If your baby has moved onto toddler stage, they can help with the daily animal feed runs or just amuse themselves in the sand pit, soft play or playground or just explore the 150 acres – they will soon be tired! 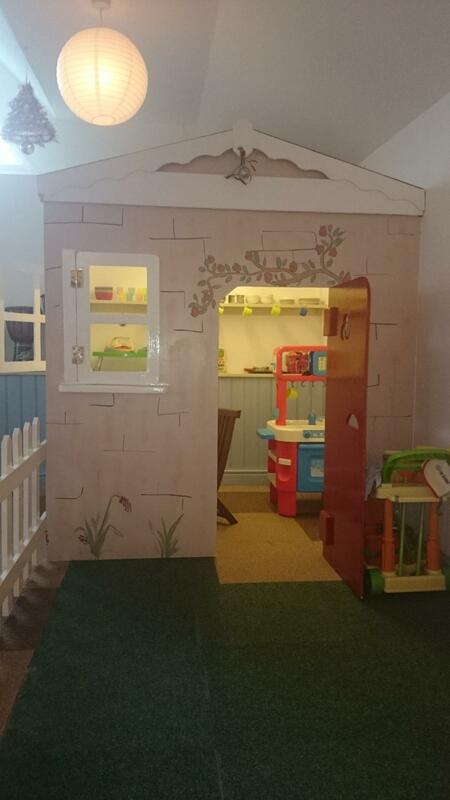 There is also a big playroom with Brio train set and you will find a Wendy house and lots of ride-on toys too. 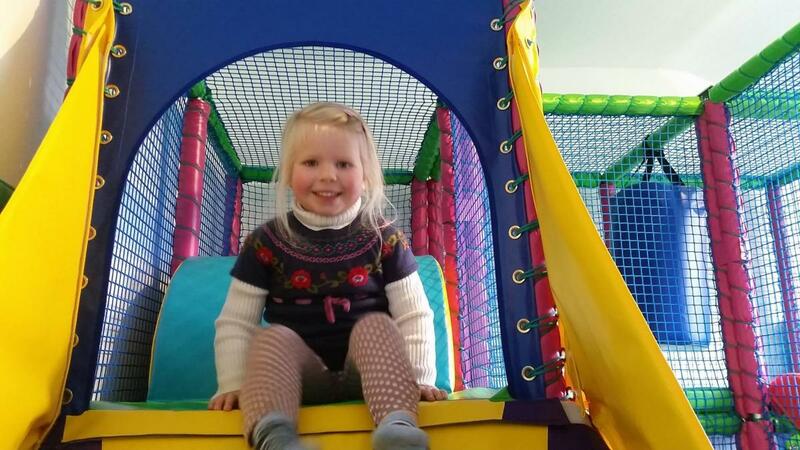 For parents, there is a spa and hot tub, meal delivery service and babysitting options too, walk to the local pub or go out for a nice meal to one of the many fabulous restaurants in the area. There is also an outdoor heated swimming pool with toddler pool for the whole family to enjoy. Locally you are spoilt for choice with beaches and coves a short drive, Looe is 3 miles and the local village 1.5 miles down the farm track. This Five Star Gold family-friendly farm-stay is green too! With solar panels, a wind turbine and biomass District Heating System keeping your holiday environmentally friendly! 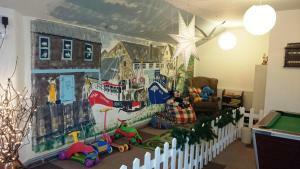 Treworgey also boasts five star reviews online including TripAdvisor. There is a Shaker-style fitted kitchen is fully equipped, sitting room with log fire, a comfy cream loose covered sofa, freeview TV, DVD and books. 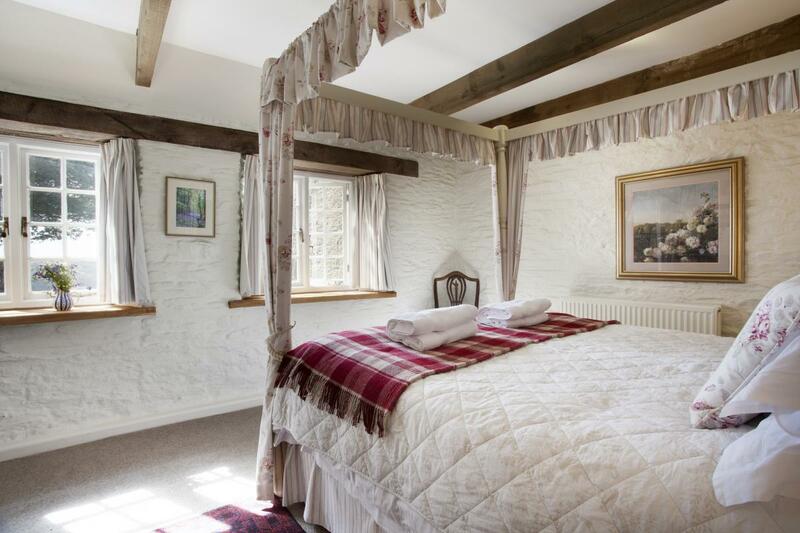 Upstairs you will find a four-poster king-size bed with river views from your bed. Pretty bathroom with shower over bath. Patio and sunny traditional cottage garden to front and rear. From the secluded garden, you can hear the babbling stream nearby. Four poster bed, shaker style kitchen, open-hearth fireplace, en-suite shower and separate bath. 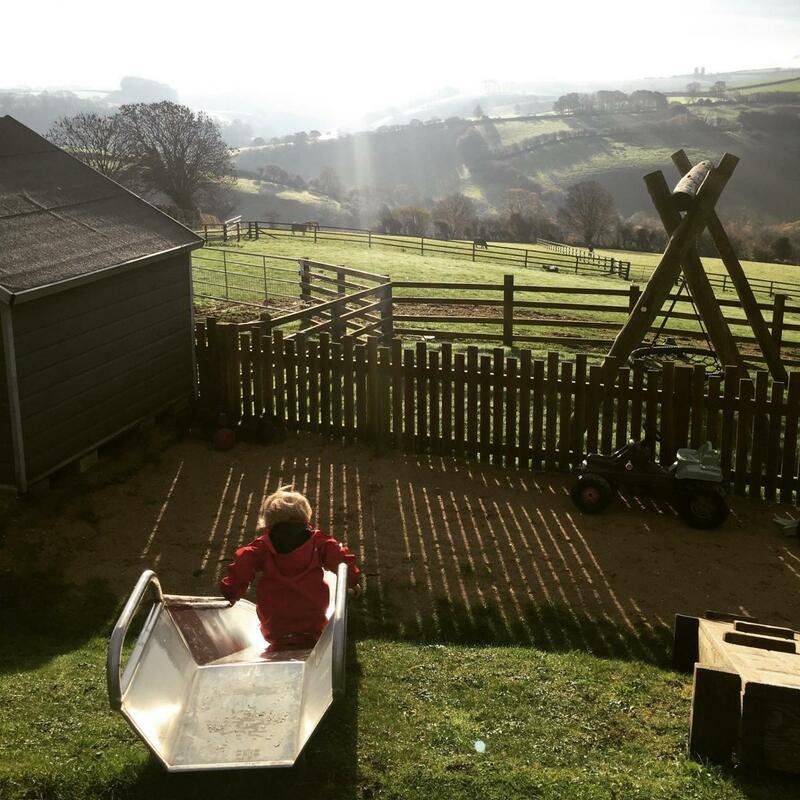 There is a slate roofed conservatory that can also be used for a small child’s folding bed or cot. Four-poster bed, ample room for cot or small bed in bedroom, en-suite with bath and separate shower and underfloor heating. Shaker style kitchen, lounge with log burner and French doors opening onto the patio and walled garden beyond with views to the river beyond. Stunning views over the river valley from dining table, sitting room and garden. 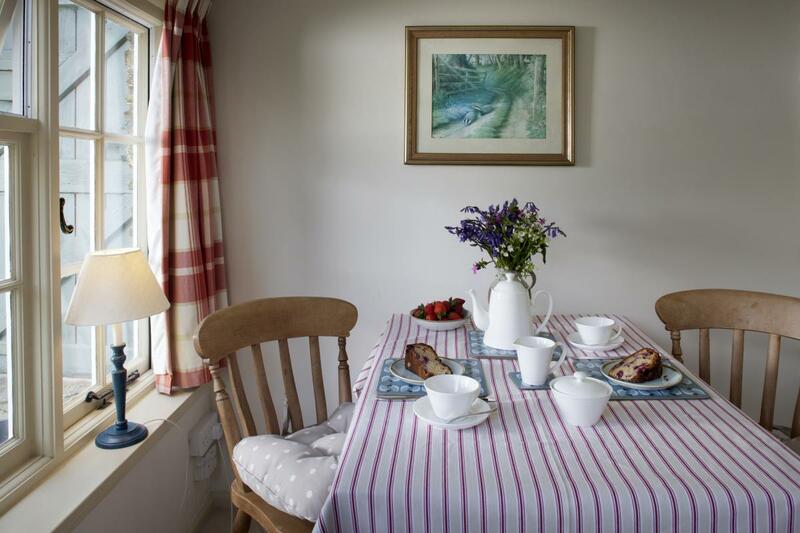 Conservatory can be used as small dining area or for child’s folding bed or cot – the bedroom is off the conservatory with king-size brass bed, the bathroom has shower over bath and under-floor heating. The sitting room opens to the sun trap private enclosed garden and leads into the fully equipped kitchen. 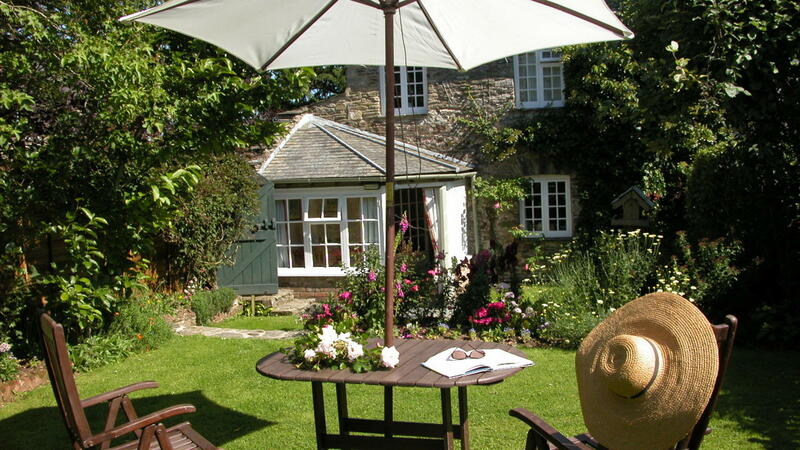 Secluded cottage, 10-minute walk from the main farm, with an enclosed very private garden. The slated roof conservatory has French doors opening to the garden or can be used as a small space for child’s folding bed or cot. 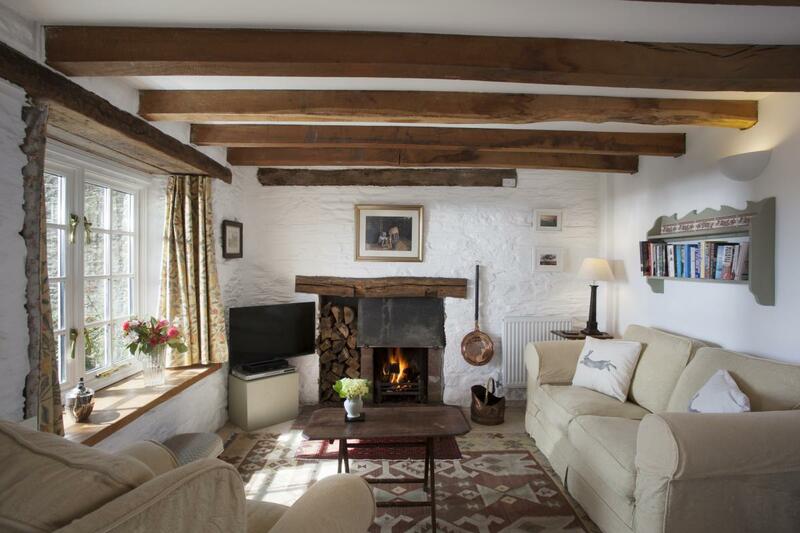 The sitting room has glass fronted log burner and the kitchen area is fully equipped. The bedroom has king-size bed with en-suite bathroom with over bath shower. The garden is a delightful sun trap. One of the most accessible cottages on the farm with a level garden and parking outside the garden gate, there is also a walk-in shower cubicle in the bathroom as well as a separate bath. The sunny walled garden faces south with views of the paddocks and the sheep and horse below. The spacious bedroom can be set up as twins or double and the kitchen is open plan with a wood burning stove. There is underfloor heating throughout (changeover day is Thursday). Located in the beautiful Cornish countryside, this luxury family-friendly farm stay is just 3 miles from Looe – in fact you can see it in the distance, walk to local pub, or 10-minute drive to lots of local beaches. Love Beach - Safe, sandy beach with parking in town, cafes, loos, ice cream shops and more. 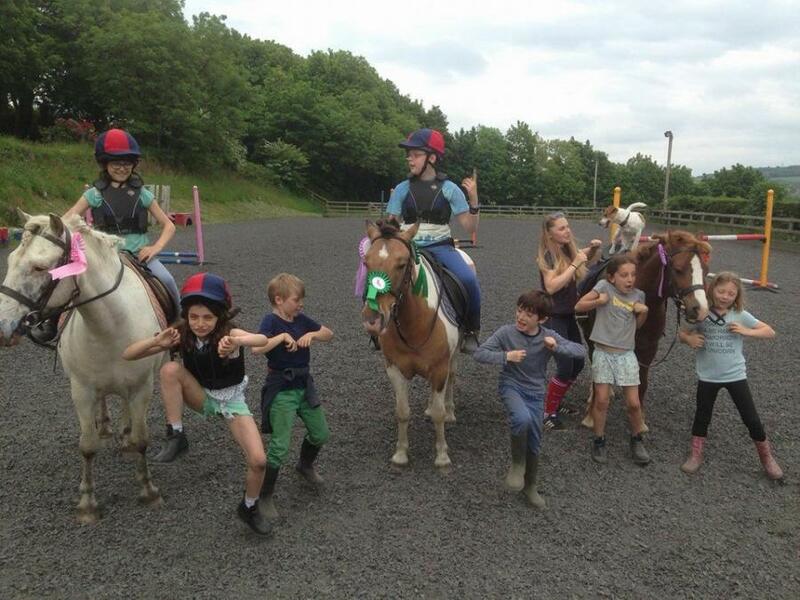 Crealy - Play centre with animals, rides, indoor play and outdoor adventure playground. Very popular with young children. Camel Trail - Fantastic day out for all the family. You can hire bikes for all ages as well as bike seats and trailers for the little ones. Running from Bodmin to Padstow with beautiful estuary views. For a shorter ride you can start at Wadebridge . Trethorn Leisure Farm - deal for little children. 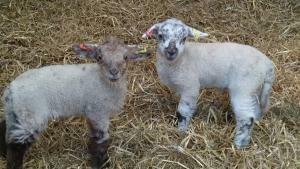 Lots of animals to meet as well as indoor play and areas for under 6s only. Talland Bay - Sheltered little cove with great rock-pooling, really good café, loos and parking. 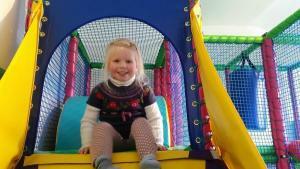 Kidzworld - Soft play haven, really interactive and a great day out, perfect for a wet day. 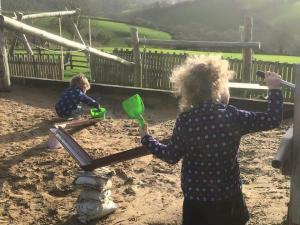 Cardinam Woods - A great day out with a lovely child-friendly café, play area and BBQ area. There are a few trails to choose from, mostly pushchair friendly. The bottom trail is very flat, you can play ‘poo sticks’ on the bridge and look out for the Gruffalo and his friends hiding in the woods. Eden Project - Experience tropical climates in the amazing biomes. Constantly evolving, the Eden Project always has loads to captivate children and is really interesting for adults. Lanhydrock - The new cycle trails at Lanhydrock include easier trails suitable for balance bikes or bikes with trailers (which can be hired there) and there’s a lovely café at the bike centre. Stroll down to the lovely National Trust house and gardens afterwards. National Marine Aquarium - A great day out in Plymouth, very popular with little ones and good on a wet day.